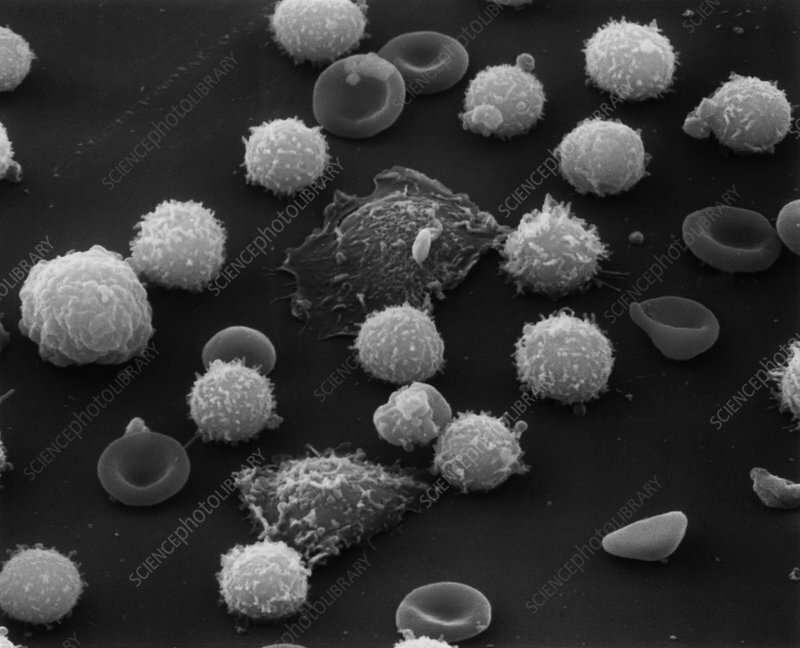 Scanning electron micrograph of a field of normal, peripheral, blood leucocytes (white blood cells), two spreading macrophages and scattered erythrocytes (red blood cells). There are three major divisions of leucocytes: granulocytes, lymphocytes and monocytes. Macrophages belong in the divison of monocytes. Together, they are involved in protecting the body against the invasion of foreign substances and in antibody production. Magnification: x5,000 at 8x10 inch size.